Are you looking for algorithms and data structures tutorials? Do you want to know how to master algorithms and data structures in 3 months and get a high-paying job? What about algorithms and data structures interview questions, are you interested in them? This is your lucky day. Here, you will get to know everything about algorithms and data structures; the definition, how to improve your knowledge of data structures and algorithms, and what to expect during an algorithms and data structures interview. What exactly is algorithms and data structures? 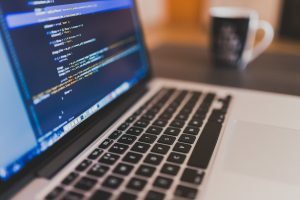 Before learning how to become a master in data structures and algorithms, it’s best to know what these two terms mean. Data structure can be defined as a technique of organizing and collecting is such a way that various operations can be performed on the collected data in an effective way. It’s all about rendering data elements regarding some relationship for better storage and organization. Anything that can store data can be called a data structure hence Char, Boolean, and Integer are all data structures. To be precise, they are known as Primitive Data Structures. There are also complex data structures (Abstract Data Structure) which are used to store connected and large amounts of data. Graphs, Linked Lists, Trees, Queues and Stacks are good examples of abstract data structure. An algorithm can be defined as finite set of logic or instructions that are written in a specific order to accomplish a particular pre-defined task. It’s important to note that an algorithm is not a complete code or program. It’s rather a core logic of a problem that can be expressed as an informal high-level description as pseudo code or using a flowchart. Space complexity is the total amount of memory space consumed by an algorithm during the execution process. In situations where there’s limited memory or multi-user systems are adapted, space complexity should be taken very seriously. Time complexity can be defined as the total amount of time needed by the program to run to completion. · Visualization of the data structure. Ensure that you fully understand what the data structure looks like, how it’s structured (both in the abstract and physically) and what it feels like to use it. Draw it or visualize it in your head so that you can understand the structure intuitively. · Learn how and when to use different data structures and their respective algorithms in your own code. As a student, this can be challenging as the assignments and exams won’t impart this knowledge. Just know that you won’t master data structures until faced with real-world problems. If you want to know how to become a better programmer, this is the most important step. Coding is difficult, but it’s the central piece of programming. Through coding, you will discover your mistakes in threading, error handling, and designing. It’s also important not to just stop there. Throw away your first solution. The next solutions should fix the problems. There is a huge difference between a bad code and a good code. So, how can you tell? The only way to tell the difference is by seeing a good code and understand why that particular code is good. This is where books come in handy. The best data structure and algorithm books will contain real life experiences from their authors. Reading blogs is not as good as reading books, but it helps. Blogs are usually written by programmers themselves who share their personal experience and view which are relevant to some people. The information present on blogs is usually small and straight to the point hence easier to digest. To become a better programmer, you need to practice algorithms, data structure, and design related problems. In doing so, you will take better advantage of what is available. Keep in mind that data structure is the key to any program hence a solid knowledge in it will help you in any problem-solving situation. Unlike reading, talking isn’t passive. Therefore, discussing and talking to a fellow programmer leads to a better solution. This technique is also natural as your mind tends to revolve more when you talk to others. · What is data structure and algorithm? · Why do we need to do algorithm analysis? · What is linear data structure? · What is asymptotic analysis of an algorithm? · How to find middle element of linked list in one pass? · In an integer array, there is 1 to 100 number, out of which one is duplicate. How do you find it? · What operations can be performed on queues? Those are just but some of the few algorithms and data structures interview questions. Always have an open mind when attending interviews as they may ask you anything. Keep in mind that an interview isn’t an exam hence real-world problems may pop-up here and there. To learn the basics of algorithms and data structures within a month is not that hard. The best part is that you might be lucky to get a high paying job with this knowledge. However, you will learn more as you do the job. Loved reading the post? Share with your friends!